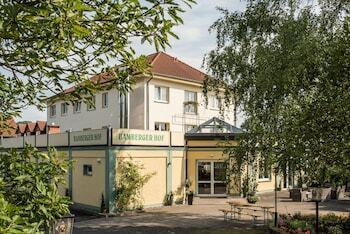 Located in Wutha-Farnroda, Hotel Bamberger Hof is a 2-minute drive from Thuringian Forest and 10 minutes from Nikolaitor. Featured amenities include luggage storage and a library. Free self parking is available onsite. With a stay at Hotel Bischoff in Baden-Baden (Baden Baden Old Town), you'll be steps from Friedrichsbad and Caracalla Spa. The front desk is staffed during limited hours.